Anyone know what normal is? To me, it has seemed illusive for years, and yet, so longed for. . . This weekend, I think Cody and I glimpsed it. We celebrated his birthday, and it felt so normal, I hardly knew what to do with myself. As I mentioned last week, we are huge fans of the show Duck Dynasty. About a month ago, I heard that the brothers from the show were going to be in Orlando at a charity event held by golfer Bubba Watson (2012 winner of The Masters). And the best part was that the event was going to be held on Cody’s birthday. How could this not be God’s will for our lives? So, on Friday, we headed down to Downtown Disney and the House of Blues. The House of Blues! How hip does that sound!?! 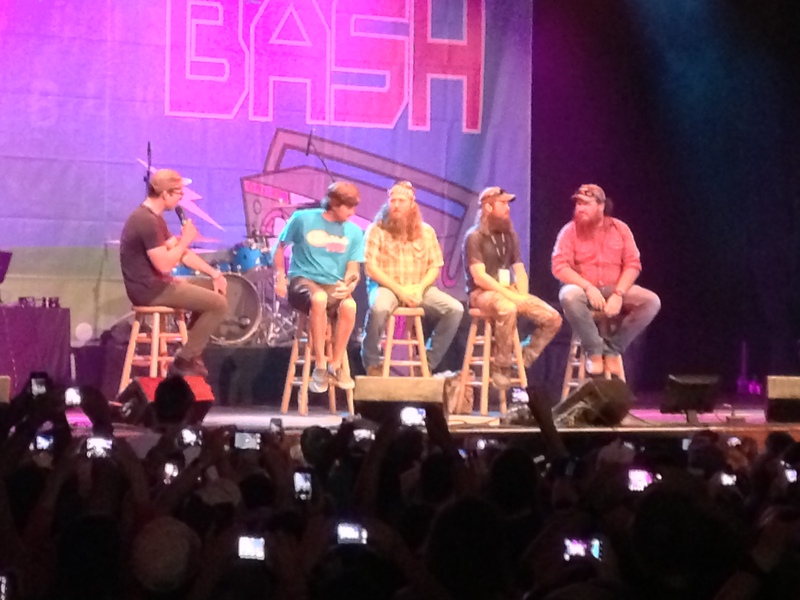 After three hours of music we didn’t exactly understand, Bubba and three guys from Duck Dynasty came on stage for a Q&A. It was awesome! These guys were exactly like they are on the show. They don’t take themselves very seriously, and they really don’t care if people agree with them. They love Jesus, and they love hunting. That’s really what life boils down to for them. And about five minutes into their time onstage, Jase said, “I never leave home without three things: my wife, my duck calls and the Scripture.” For the next ten minutes, he gave one of the best gospel presentations I’ve ever heard. How refreshing it was to hear a “celebrity” talk about how Jesus is the most important thing in his life and not sound cheesy. Bubba Watson’s story was great too. He talked about how he loves golf, but he doesn’t let it dictate his life. His faith and his family are his priority. He admitted he knew he would never win another Masters because he doesn’t live his life that seriously. More than anything else, he just wants to honor God. Part of the money this event was raising money for was a children’s hospital in Africa he and his wife had become connected to through a missionary. The rest of the money is going to help foster kids in the Central Florida area. The Watson’s adopted their son a week before he won The Master’s, and they are passionate about supporting the system. And if that wasn’t enough, Cody’s cousin took us to see Star Trek on Saturday night. I can’t tell you the last time we went to see a movie on a Saturday night, let alone on opening weekend! It all just felt so normal. But then, what is normal? I can’t imagine doing this weekend again. . . we were exhausted! It was fun for a couple of nights, but we couldn’t keep up with it. My normal is bed by 9:30, family movie night with homemade pizza and the cheesy Christian radio station playing in the car because it’s “safe for the little ears.” In light of the disaster so many are living through in Oklahoma and Texas, I couldn’t be more thankful for my normal. Normal is the day-to-day. My normal is mine. Your normal is yours. Comparison only leads to discontentment. Comparison only leads to discontentment. What a lesson to learn. Today I am practicing. I am practicing the contentment of my normal.